Dr. Eduardo P. Banzon is a Principal Health Specialist in the Asian Development Bank where he champions Universal Health Coverage (UHC) all over Asia and the Pacific, supports countries pursue UHC, and provides advice on designing and implementing country UHC strategies. He is a former President and Chief Executive Officer of the Philippine Health Insurance Corporation (PhilHealth). He was a Regional Adviser for Health Economics and Financing of the World Health Organization-Eastern Mediterranean Regional Office (WHO-EMRO) where he advised countries in the Middle East and North Africa on improving their health systems and achieving UHC. He was also a Health Economist in WHO-Bangladesh and Senior Health Specialist for the World Bank. He first joined government as Vice President of PhilHealth in 2000 where he provided technical leadership in its shift from a traditional indemnity health insurer into a proactive health insurance program that addresses the health needs of both the formal and informal sector population. Eventually, he was given additional assignments by the Department of Health to help facilitate and enable the growth of generics medicines, and promote the use and application of information technology tools in the health sector. Dr. Banzon was a Clinical Associate Professor of the University of the Philippines (UP) College of Medicine where he was member of the Department of Family and Community Medicine and the Department of Clinical Epidemiology. He was a Research Associate Professor of the UP-National Institutes of Health. He was also a faculty member of the Ateneo Graduate School of Business; and an adjunct faculty in the Asian Institute of Management and Ateneo School of Government. He is a medical doctor who worked as a community health physician and community organizer in rural and urban poor communities with the Philippine Rural Reconstruction Movement, the International Institute of Rural Reconstruction, Botika Binhi, and the Institute of Maternal and Child Health. He completed his medical degree in the UP College of Medicine in 1992 and later completed an MSc in Health Policy, Planning and Financing from the London School of Economics and the London School of Hygiene and Tropical Medicine in 1998. 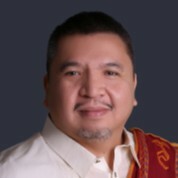 He has been recognized by his alma mater and others when he was awarded a Distinguished Alumnus Award (Health Policy Development) by the University of the Philippines Alumni Association in 2015, and tasked to give the commencement talks for the graduating medical classes of UP College of Medicine 2013 and the Ateneo School of Medicine and Public Health 2015. Dr. Banzon was born in Bacolod City in November 4, 1966, and graduated High School valedictorian from St. John’s Institute which has recognized him as one of its most outstanding alumni. He is married to Johanna Solon Banzon and they are blessed with three children, Juan Eduardo 16, Julian Francisco 12 and Julianna Fidelis 10. 1 FEB, 2018 14:30-16-30 hrs. PS1.4 Financing Pandemic Preparedness: Where is the Money?